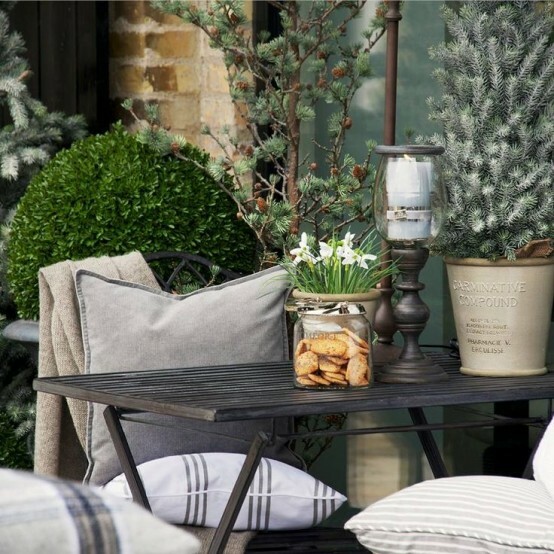 If you want to add a couple of cute touches to your terrace to highlight the season, you’ll like this article! 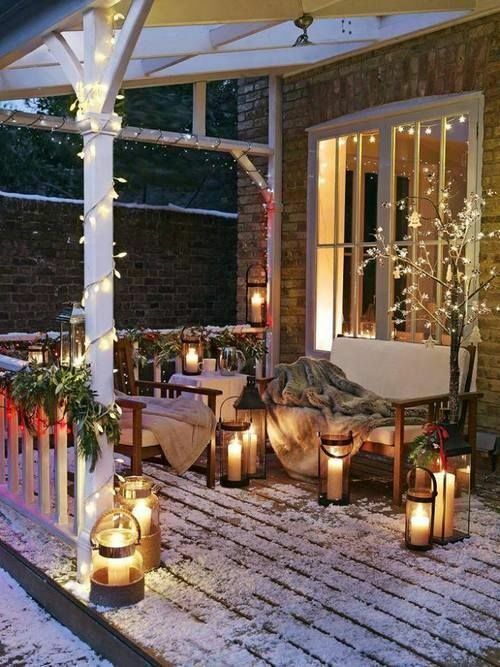 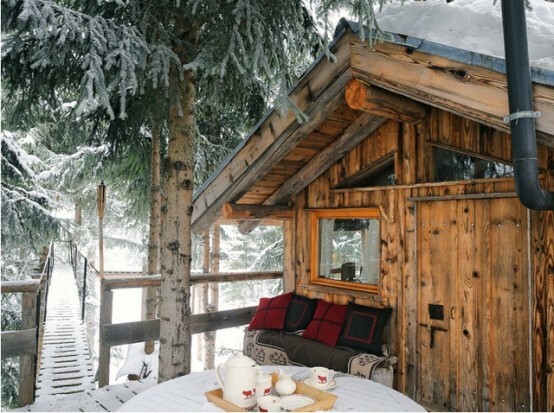 We’ve prepared some beautiful examples of winter terrace décor so that you could spend more time there and feel comfy and cozy. 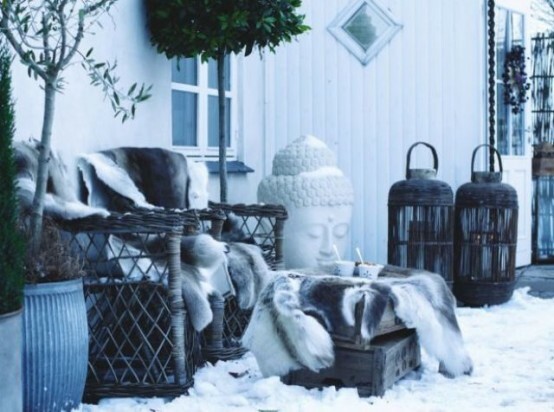 Number one idea here is using fur for décor: it’s cozy, stylish, always in trend and gives warmth to you – it’s winter, remember? 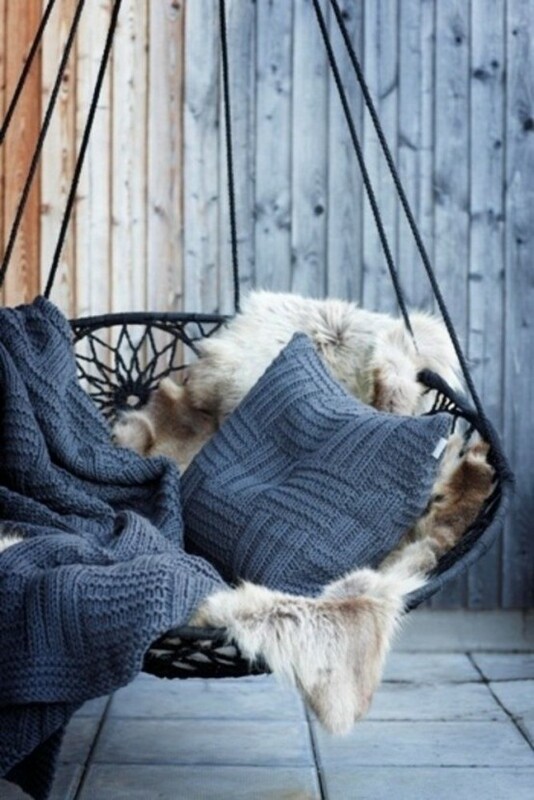 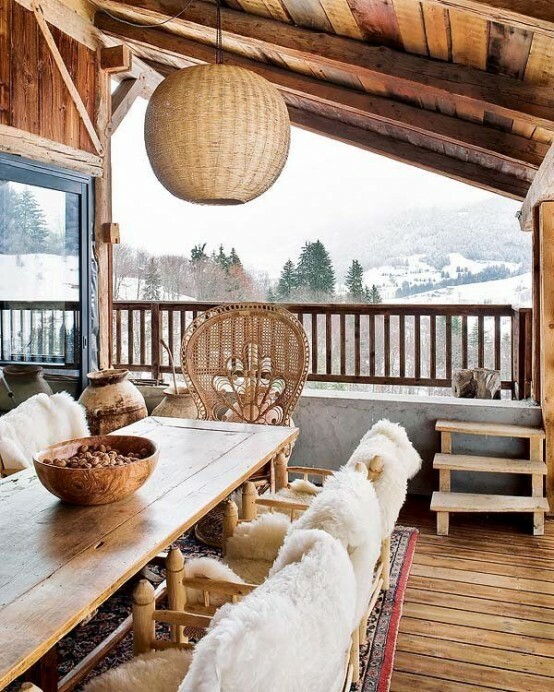 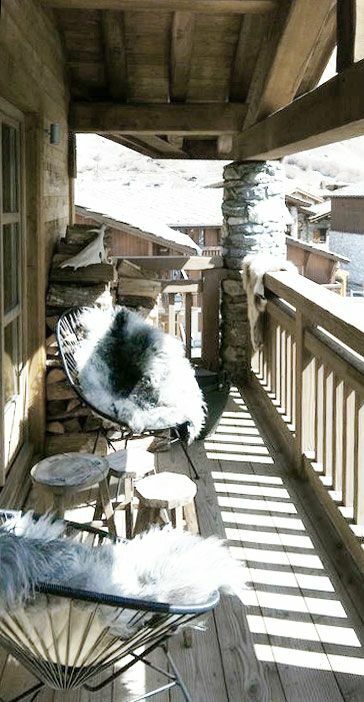 Fur chair wraps and blankets are perfect here, and an alternative to them is a knitted cover. 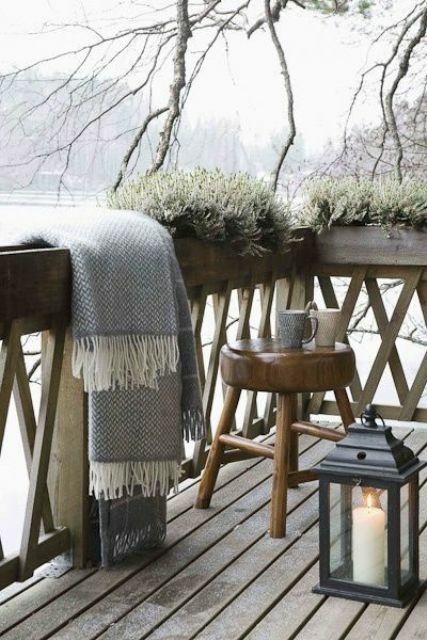 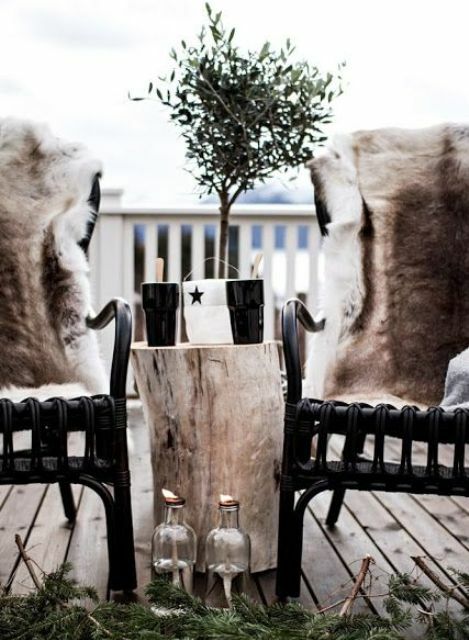 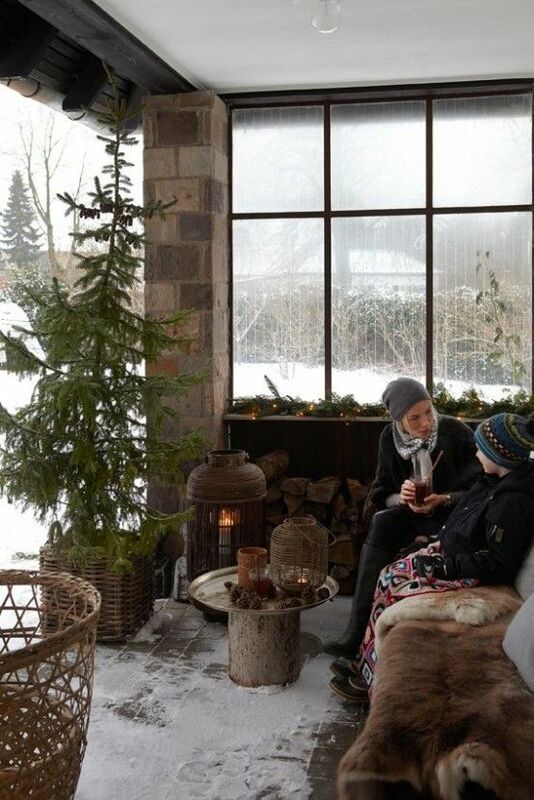 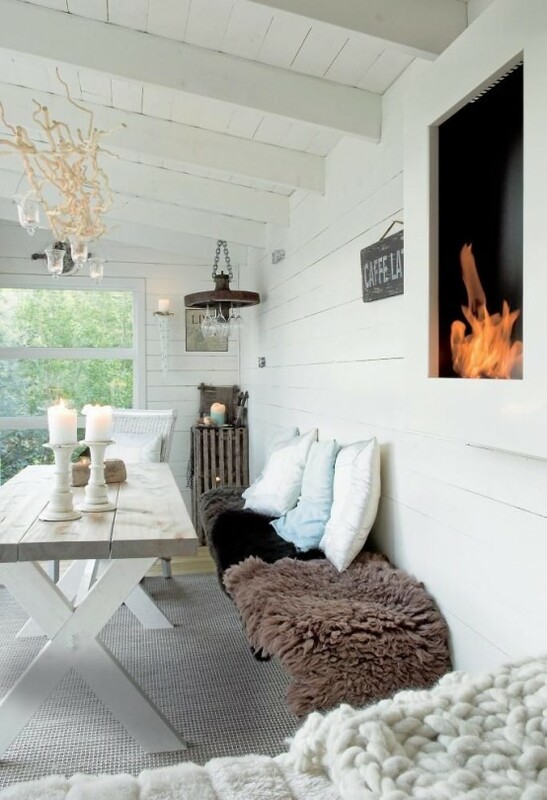 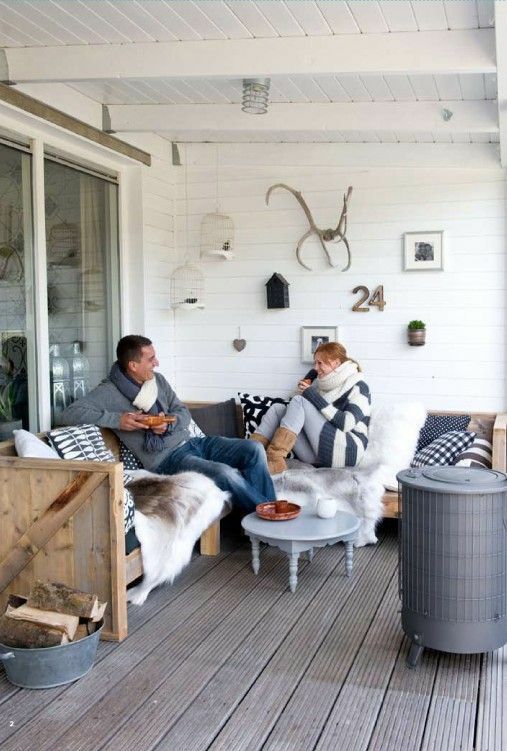 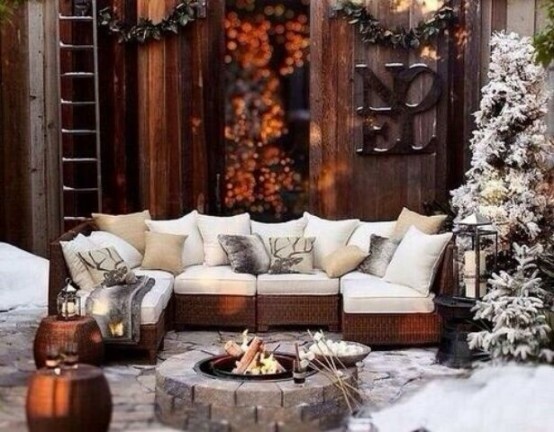 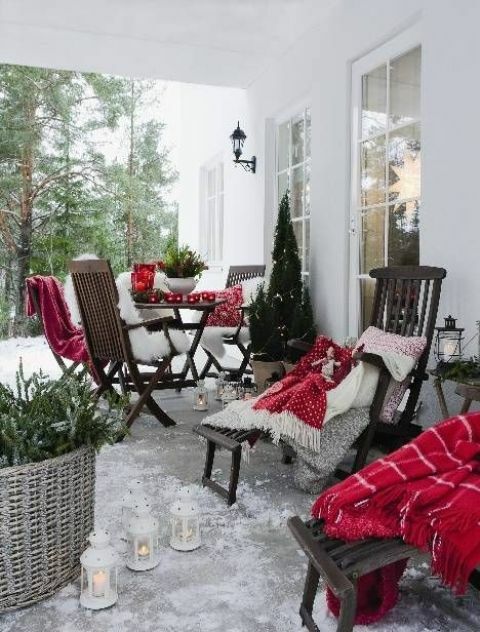 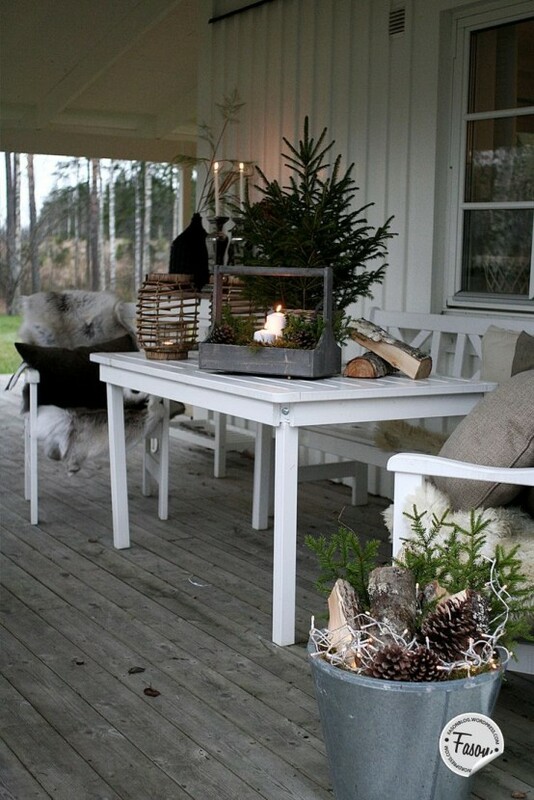 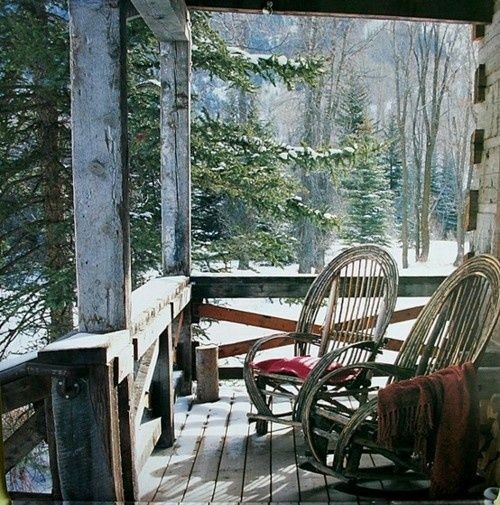 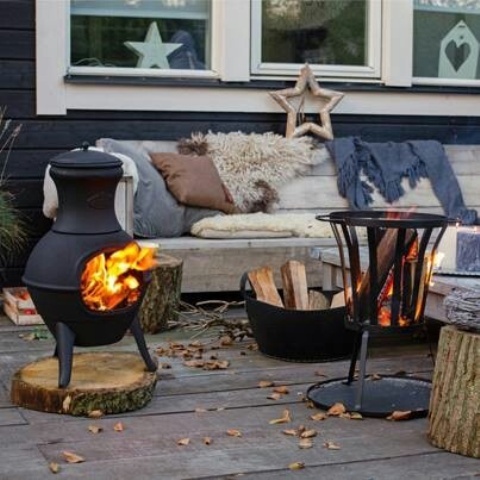 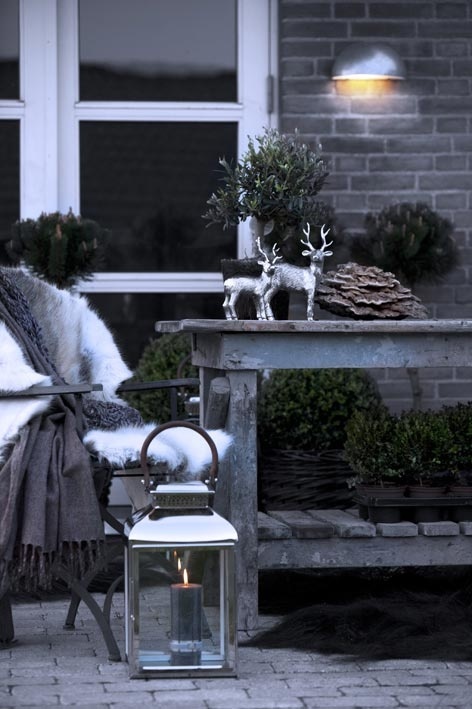 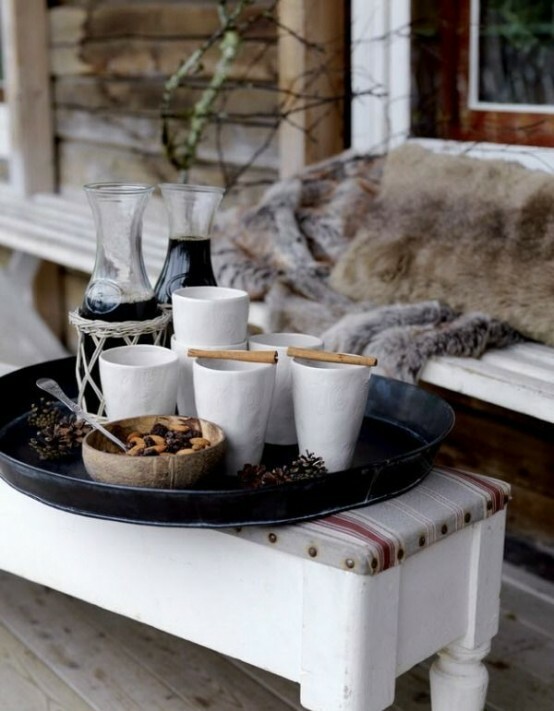 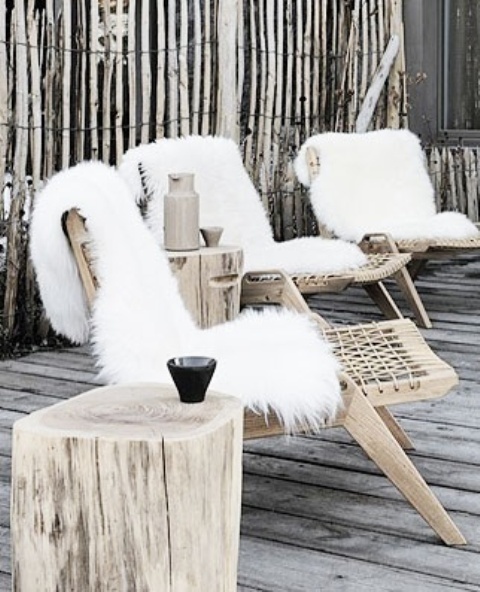 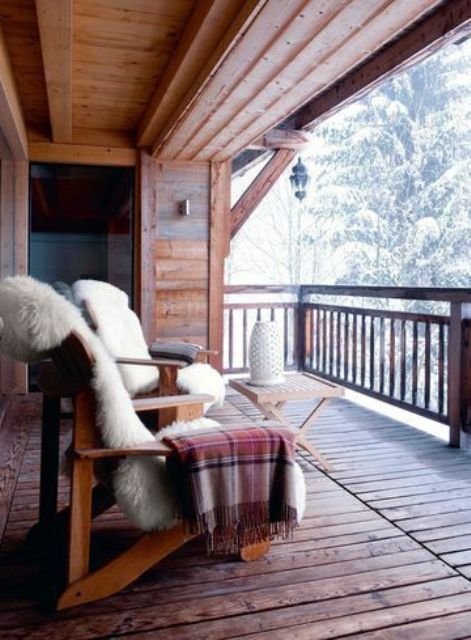 Keep your terrace natural: wood, pinecones, fir branches and greenery will help to create an atmosphere. 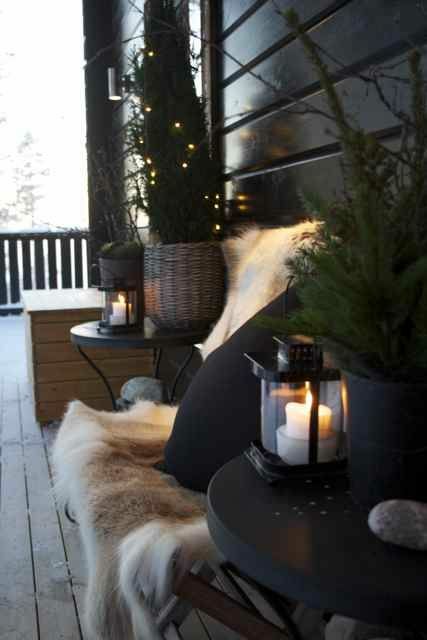 The lights are always important, so go for ice lanterns (if possible) and just regular candle ones. 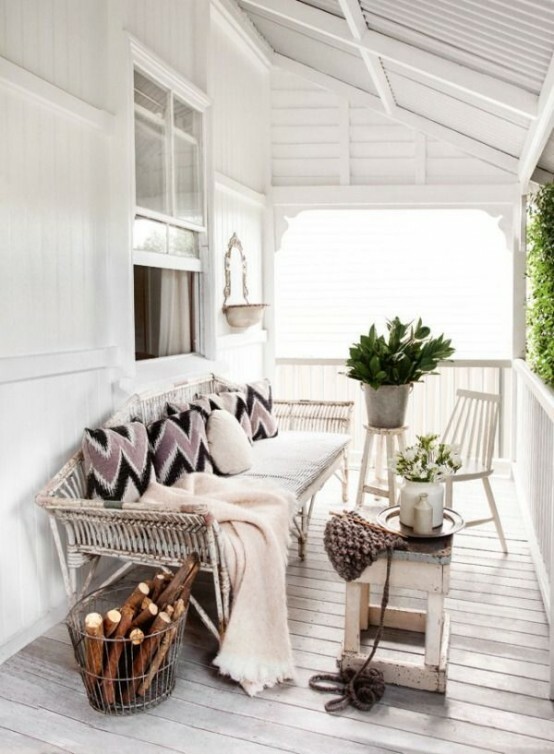 Dip into the gallery below to get inspired!